Home Simon Callan Hugo, or not to go? Hugo, or not to go? 'Like' e-Spurs on Facebook here! What to write my first article for e-Spurs about? A simple question with a simple answer. The best player in the Tottenham ranks! If only I had been writing this article a few seasons ago I could have been writing about Bale, Modric, van der Vaart, King.. even Berbatov! Alas, these world class players no longer walk the halls of the Tottenham training ground anymore. Now, we have to settle for underperforming mega money signings and talented youngsters. It's not all doom and gloom though! We do still have one world class player - and in his prime no less - our captain supreme Hugo Lloris. When we first signed Lloris I was not overly excited. While I was reasonably familiar with Lloris and felt he was an improvement on our incumbent keeper Mr Brad Friedel, I felt that the latter was doing a good enough job for us. He had never really let us down, he was reliable, unlike others in the current squad. I was quite happy to see Lloris have to earn his straps at Spurs, and earn them he did! So much so that I remember being quite worried about whether Lloris would be in goal for us in the Capital One Cup final, with Vorm having played every game in the competition up until that point. Lloris is, by some distance, the best goalkeeper we've had in the Premier League era. I mean, sure, he isn't the goal scoring hero of his closest competitor Paul Robinson but he offers a lot to the team in the more relevant areas - such as, well, you know, goalkeeping attributes and stuff. The rumours about his future have really been doing the rounds this summer. Manchester United (the biggest club in the world! - apparently) are likely to lose another of their most valuable assets to Real Madrid and are said to be sniffing around Lloris as his replacement. It does make sense. David de Gea was probably the top performing keeper in the Premier League last season. If they are to lose him Lloris would be a good replacement. 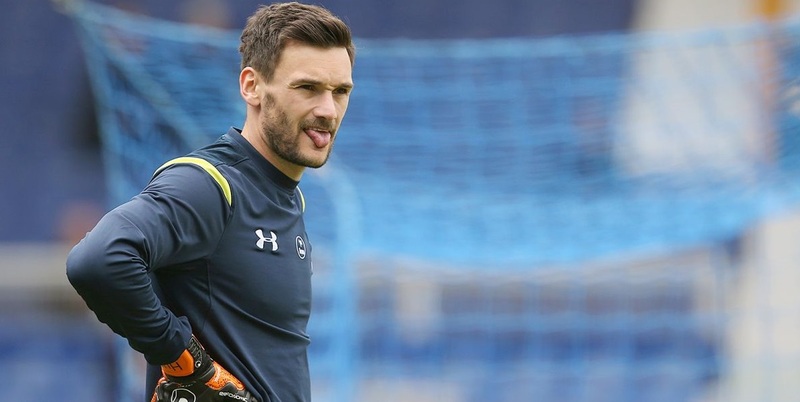 If I wasn't desperate for Lloris to stay at Spurs I might even recommend him to them! Let's go over the obvious. Daniel Levy is not going to let Lloris go on the cheap. He has developed a reputation for being the hardest negotiator in football. Straight off the bat I am thinking that a world record fee for a goalkeeper (over £32m) or at least close to it will be needed to prise Lloris away. For most teams this sum is simply ludicrous. For a team like Man United however, who have more money than they know what to do with, this is an affordable transfer. I have read that, according to L'Equipe, Lloris has a nice convenient release clause in his contract set at the appetising price of £15m. When this was refuted L'Equipe claimed Lloris has a verbal agreement with Levy that he would be sold at this price. This story was simply laughable straight from the off. As if Levy would condone the sale of a player for less than half his market value! A player of Hugo's talent does deserve to be playing in the Champions League. If Spurs cannot provide him with it, I would not begrudge him a move to secure it. The names I listed at the top of the article (Bale, Modric, Berbatov) also fell into the 'should be playing Champions League' category. Indeed, all three of them went on to play in the Champions League final after leaving Spurs. What is more important to me, is how these guys went about getting their moves to Champions League teams. Whilst lumping Bale in with the others may be a bit harsh, they sulked their way through the summer until they got their moves. Would Lloris do the same? If de Gea does leave Man United I suspect Lloris probably would push for a move and thus ruin my love affair with the Frenchman. So... Here's hoping that Manchester United keep their Spanish shot stopper and we keep our French one! All this stuff about "deserves to be playing Champions League football" what about the oh so old fashioned idea of helping the club you're at to achieve that? In that regard I found that self centered little person Michael Owen the ultimate irony. Leaves Liverpool to "win things" and Liverpool go on to European glory and he can't get into the Madrid team. Then when he sulks and wants to come back no one wanted him.